This afternoon I had a dreaded dental appointment (luckily it was just a checkup) and while browsing through a slightly outdated issue of Who magazine in the waiting room, I came across the idea of two-toned lips. This popular makeup trend was created by M.A.C. makeup artist, Nicole Thompson, for We Are Handsome during Mercedes-Benz Fashion Week Australia. I sat thinking why am I so smitten with this look? It's just a separate colour for each lip… but there's just something about the trend that I absolutely adore. I have to say, I'm in love. 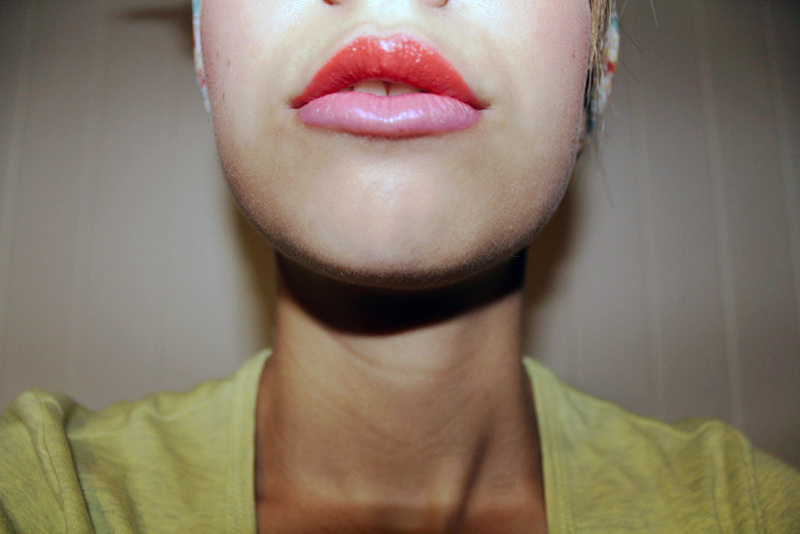 What do you think of two-toned lips? Would you consider this for your everyday makeup? It is original and pretty :) Thanks !